After much confusion and - as it has been rumoured - a bit of a U-turn, Nintendo of America is set to launch Devil's Third in North America this year - December 11th, to be precise. Interestingly, Dell (yes, it sells more than just PCs) has listed the game on its own store with a budget price point of $29.99. This could be a mistake - Amazon has it pinned as a full-price game, as does NoA's own release schedule - but it wouldn't surprise us one bit if it got a price cut prior to launch, given the scathing reviews the title received upon its European launch. Clearly, there's still a lot up in the air regarding this title. Both Amazon and Dell lack official cover art at present - the former has a placeholder cover while the latter is using the EU cover - and both are using an incorrect placeholder release date of December 31st. GameStop has the correct release date but still a placeholder cover. 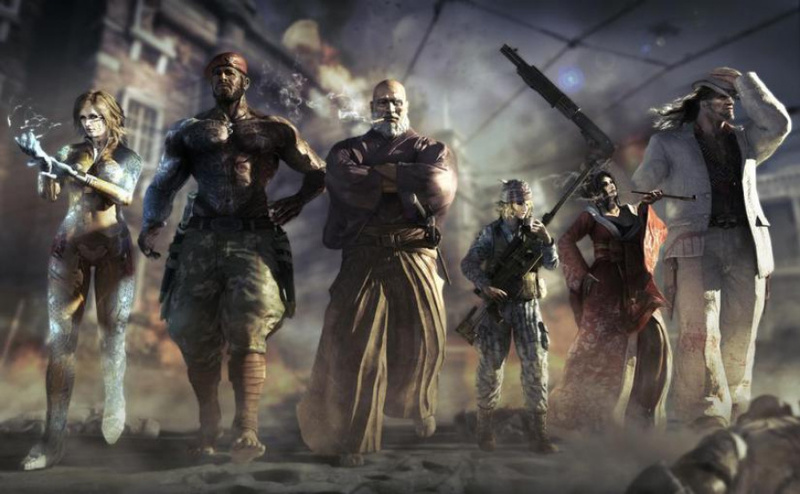 Are you still interested in playing Devil's Third? If not, would a lower price tempt you to the take the plunge? I am thinking about writing an article about this. To summarize: There is an AWESOME online game hidden there, but you have to join (or make!) a clan to fully enjoy it. How to save the game from becoming an online desert? With one very simple step: Nintendo needs to release the online part of the game as a free-to-play game on eShop like Namco is doing with "lost Ravers". I have reached mister Itagaki about this possibility, and he straight up answer "Up to Nintendo.". Wouldn't be that surprised if the PC version is cheaper than the Wii U version. They're already doing that with the Watch_Dogs I believe. I bought it, never played it. @whodatninja By making the online f2p it would increase and maintian overnight a stable player base. Plus earnings could come from Golden Egg micro-transactions. (Have not used them a single time and will probably never need them). @Trapleton The STEAM PC version is absolutely free. You just download, create a character and off you go. Please note it has nothing of the single player campaign which will remain a Wii U exclusive. @Trapleton The PC version is free to play, it just doesn't have the single-player of the Wii U game. I wouldn't pay more then 10$ for this anyways. Why is Dell even commenting anyway? Not denying the bad game, but how about those bad PCs they make? Nintendo should comment on their poor product as well. I'm interested but at a budget price, especially if there are microtransactions in the online portion. @SuperWiiU @Shiryu Ah, for some reason I thought that this article was about the PC version. Oops! Works for me. I'm buying it either way based upon some user reviews I've seen, so hey I like having more money in my pocket! @Dankykong Wtf? Dell said nuffin. Just listed the game cheaper than elsewhere. What you smokin? @Dankykong The likely can't because of the game not being out in America yet. @Shiryu I was gonna buy for the multiplayer when it hits around $20, but I like your idea a bit more. @Nintendo69 And if enough people make noise about it, there is always that small chance that someone at Nintendo picks up the voices. I'm buying it day one and will pay $60 if need be. I've spent that on worse games and this one I know isn't as bad as the reviews say. It just isn't as good as you would hope either. It would be awesome if it was that price. That would be an extra $30 in my pocket. Then again I can put it on my Christmas list and probably get it as a gift for free. @BertoFlyingFox : _Thats cosmetic. Wii U version don't need any real money at all. Those Golden Eggs is earned for free anyway. I played it alot online, so i know. @Dankykong Nintendo didn't make this game. I already have it pre-ordered at GameStop (Lord, help me) because I was afraid it would have such a small print run that it would become hard to find. I only have $10 on it right now, so I will put another $20 down in November and then wait and see. I need this game. It looks right up my alley. Heck, I bought RE5 day one and took it back in a week I was so disgusted with it. I'm sure I'll have more fun with this. If that happened, I would definitely try it. The main reason I have avoided Devil's Third so far is because I don't want to spend £50 on a rubbish campaign and empty online modes. Now I don't wanna be "that" guy. But seriously Nintendo.. You will publish this game physically, but not Fatal Frame. What goes on in NoA? I'm also really curious as to how this game will be physically? Will it go on clearance really fast? Be hard to find 10 years from now? This will be interesting. I am absolutely picking this game up. Game reviewers have been wrong too many times for me to trust them. @ninty4thewin And it really makes me mad that there is a good game buried in there! But I doubt any professional reviewers had the chance to play it because at the time before it was released there was no clan infrastructure and war economy in place to fully appreciate it. Wasn't interested even before the bad reviews. If I see it on sale <$10, I'll add it to the backlog and probably never touch it. Otherwise, won't be getting this one. $30 would almost be an insta buy for me now that it's been revealed that Battlefront 3 doesn't have a freaking single player mode. @Pie7 No-one will remember this in 10 years time. 30 is a good deal. But Dell has been offering super good rebates for a lot of games lately. It's possible they are skipping the rebate process entirely and just giving you the game at a discount equal to it's supposed rebate. I'll pick it up eventually, but XCX pretty much takes up my whole gaming schedule for December. The GAME branch over here in Spain cut the price down to 30€ for a few weeks - I honestly expected it to be permanent, DT must have sold like crap - so I'm not surprised to hear about it possibly arriving in the US at around 30 dollars. As for me, I might get this if I find it for like 5-10€ second hand in the future. No chance otherwise. I love that Dell offers financing for a $29.99 game. Brings back memories of graduating high school and immediately getting credit card offers (despite no job) and being actually accepted for one (not my smartest choice ever). If by some miracle the framerate improves with a patch and it is indeed a budget release I'll be tempted to pick it up at launch. I bit on $30 with free shipping. That's ridiculous. If Star Fox was released on time, I would have passed, but I'm really itching for a new Wii U title. I completely forgot about it after NL took huge dumps on it with its review and other coverage. This isn't worth more than $5 to me. And even then, I can think of better games to purchase with $5. This game is very fun and the boss battles are very good and challenging plus the online multiplayer is good. Dell is also offering Xenoblade Chron X for $49.99, and Mario Tennis Smash for $39.99, both $10 cheaper than Amazon. May have found a new favorite game supplier . . . thanks NL!! @Shiryu The game is amazing. I honestly love it. It's actually one of my top Wii U games if I'm quite honest. Online is great craic! @BarryDunne It fits perfectly between CODBO2 and Splatoon. It's a real shame so many people will never experience it because of bad reviews. @Shiryu I agree. There's a nice blend between the 2. I've been playing it more online than I have with Splatoon. Don't get me wrong, I love Splatoon but it's lacks content online and is very limited as you know. We can play certain maps at certain times and certain game modes at certain times. Good going Nintendo..lol I've plenty of content on my channel and I plan on actually doing my first game review on DT. Nearly finished recording content as I wanna record a few more videos as I'm doing one video of each mode to show americans and other people what its like and show them what they're missing out on! @BarryDunne Same here, I love all the games I mentioned. I too have been making a ton of videos to show off online gameplay so American players get hooked and also to put some more European virtual boots on the servers. A shame servers are region locked, we could certainly do with a bigger influx of players. @Shiryu I think I've seen you on the battlefield alright lol I subscribed to you there! Actually, have you got twitter? There's something I want to to if I can DM you there or something? @BarryDunne Sure, you can find me everywhere really: Twitter, Facebook, Youtube. If I take time to respond don't worry, I'm currently making videos of new Disney Infinity 3.0 stuff. This game is selling for about £27 on Amazon UK, so the price is coming down here. Personally, I would only spend about £10-£15 on the game because I know not many people will be using the online and I could get Call of Duty Ghosts on Wii U for around £12. 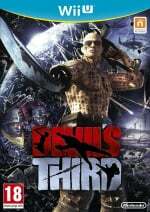 I do think I'll enjoy Devils Third though. I think NoA delayed it so they can increase the quality of it and fix the frame rate, and Europe+Japan will get a patch doing the same. I'll buy it for thirty bucks. Pretty sure they have Xenoblade for ten bucks off, too. If this game could possibly get a patch in order to fix the bugs and polish up the framerate then I may actually end up getting this game. I always liked the premise after all. can not wait to play online with you all in this game gonna be a blast! European here. I would give this game a shot for that low price. It's trash but even trash can be entertaining if you lower your standards. Outside of wanting to see if this will be the worst game of the year; I have no interest in playing this thing. Good to see after all of Itagaki's crap his game is a waste of discs. I'll just sit, laugh and then go play Dead or Alive 5, the best DOA that was naturally made without that loser's input. So much press around this game, I just want to try it for myself and make my own determination. I will probably rent it before deciding whether or not to buy. I don't really care much about the online multiplayer in this game either. Too busy playing Splatoon. It's not a terrible single-player experience, just a desperately mediocre one. It's like playing the dumbest PS2 game you can imagine, proudly wearing its shallowness like a badge of honour. It contains literally the worst driving section in the history of videogames, however. @Pie7 Yeah I definitely agree, Fatal Frame should of had a retail release. Dell is showing Devll's Third (at that low, low price) as sold out. The plot thickens?!?! Got a text from Dell last night, my $30 copy of Devil's Third has shipped.